Phoenix Tennis Center - Phoenix, Ariz.
Central Arizona teams continued their stranglehold on the USTA Southwest Tri-Level Section Championships, sweeping the men's and women's events for the third consecutive year. The three-day event was held Jan. 11-13 at the Phoenix Tennis Center as the culmination to local league play for Tri-Level teams. This year's championship was back in the Phoenix metropolitan area after a two-year run at the Tucson Racquet Club. Five districts participated (Central Arizona, Southern Arizona, Northern Arizona, Northern New Mexico and Greater El Paso), with an additional wildcard given out to Southern Arizona teams this year to round out both the women's and men's fields to six total teams. Central Arizona's women put on an impressive performance this year, going 5-0 in team play. The squad, which plays out of the host championships site this year - the Phoenix Tennis Center - lost just two of 15 total lines of play during the weekend, outpacing Southern Arizona (captain Chris Strohm - Tucson Racquet Club), which finished 4-1 on the weekend, and narrowly lost to Central Arizona 2-1 on Saturday. Winning team members for Central Arizona included captain Cindy Brannon, Kristin Morgan, Yuka Shoji, Julie Stelse, Robin Parmley, Jacqui Pinkham, Amy Rhoden, Heidi Nikodemus, Jodi Jarrell, Lynne Dugan, Catherine Deliso-O'Brien, Melodie Chen and Jenna Ryan. In men's play, defending champion Central Arizona had to do a little more work than in previous years, but still managed to claim the crown. The CAZ squad (which plays out of Scottsdale Athletic Club) finished 4-1. They struggled on the first day, defeating Greater El Paso (captain Omar Adel - El Paso Tenis Club) 2-1 in their opener, then fell to Southern Arizona by that same score (captain Suwen Chang - Loews Ventana Canyon Racquet Club). The early loss put the CAZ squad in a difficult position, but the team swept their last three team matches by 3-0 scores and got a little help when the Southern Arizona squad fell 2-1 to Northern Arizona (captain John Kolody - Poco Diablo Resort). Central Arizona and Southern Arizona finished with identical 4-1 records, but Central Arizona advanced by virtue of winning two more total lines throughout the weekend (12 to 10). Central Arizona's men's team was made up of captain Joe Johnson, Paul Apana (pictured - right), Niles Jackson, Stuart McNicol, Roger Snow, Bart Welch, Varesh Chaurasia, Brad Stallings, Charles Fleury, Rey Santos, Pat Finley and Robert Smedes. This year's Southwest championship was back in the Phoenix metropolitan area after a two-year run at the Tucson Racquet Club. Five districts participated, with an additional wildcard given out to Southern Arizona teams this year. The Southwest Tri-Level Championships were a culmination of the 2012 league season. Central Arizona (CAZ) squads have owned this event, with both the men's and the women's teams winning four of the five total years the event has been held. Only the Greater El Paso women (2009) and the Southern Arizona men (2010) have broken the string of Central Arizona victories. The Tri-Level format for play is a bit of a deviation from single level NTRP play used in the adult divisions. Instead, Tri-Level encompasses three different NTRP levels (3.5, 4.0 and 4.5) into a single team, with each level representing one of the three lines of a team match. 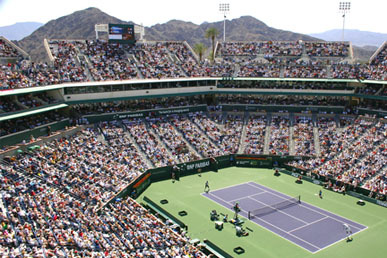 Winning teams at this year's Southwest championships will now move on to the BNP Paribas Open Tri-Level National Championships, held in conjunction with the BNP Paribas Open ATP/WTA Tour event in Indian Wells, Calif., March 15-17. Teams get to play on the same courts as the pros during the event, making the national championship a unique playing experience. As part of the national championship entry fee, qualified players will also get tickets to the BNP Paribas Open and a player dinner on site at the Indian Wells Tennis Garden, among other cool amenities. Winning Southwest teams should use this LINK to register for this year's National Championships. More information about the BNP Paribas Tri-Level National Championships can be found HERE. NOTE: A special thanks goes out to Phoenix Tennis Center for hosting this year's Tri-Level Championships, to Half Moon Sports Bar & Grill for their assistance with the captain's dinner and to ACTIVE FOREVER, a partial sponsor of the USTA Southwest League program. USTA Southwest held a player lunch on Saturday that included a nice deli-buffet style smorgasbord of sandwiches, chips and drinks. Special thanks also goes out to tournament sponsors Head/Penn Racquet sports for providing the balls for the championship. Good luck to our teams moving on at the National Championships! 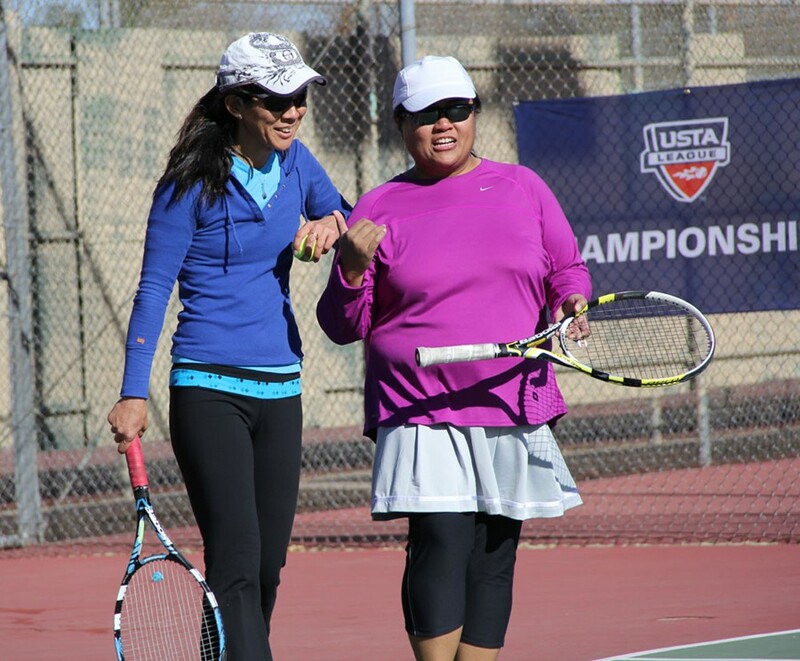 To learn more about USTA Tri-Level leagues in your area, contact your LOCAL LEAGUE COORDINATOR. 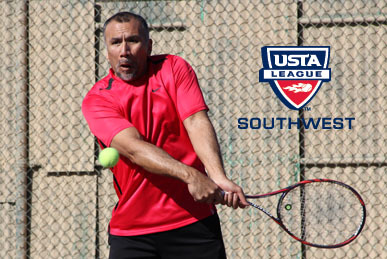 The next USTA Southwest League Championship event will be the Adult 40+ Championships, held in El Paso, Texas, May 3-5, 2013. Stay up to date with the latest event details by Following us on Facebook, Twitter and Instagram. For videos from events and player interviews, also check us out on YouTube.